Our vision is to deliver an innovative Essential Skills program to the Aboriginal Community through employer partnerships and customized training that supports employment success and retention. 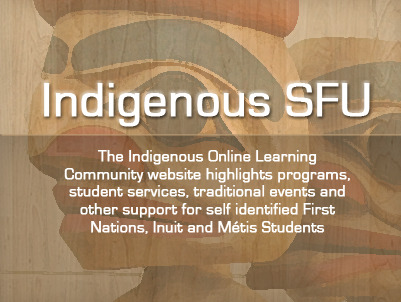 Essential Skills for Aboriginal Futures (ESAF) is funded jointly by Access (Aboriginal Community Employment Services Society) and MNBC (Metis Nation British Columbia). This project is also funded in part by the Government of Canada. ESAF began its work in 2007 and is located in the heart of New Westminster. We help Aboriginal People gain valuable essential skills, which are the foundation for learning all other skills needed for work, learning and life. We provide people with skills to evolve with their jobs and adapt to workplace change. Our professionally trained staff administers the TOWES (Test of Workplace Essential Skills) at the beginning and end of the program. The staff also work closely with our employer partners to create and customize lesson plans specific to the job requirements. A 12-week job-coaching program follows the initial 6-week ESAF training experience. Essential Skills building is a crucial bridge to working with employers. Our program is an innovative approach that is focused on specific skill development related to the job. We believe that the integration of essential skills building within our structure has the potential to provide a meaningful foundation for our Aboriginal learners. The overall aim of this program is to provide participants with customized training that will support employment success and retention. Workplace Essential Skills are defined as the skills that people use to perform a wide variety of daily life and occupational tasks. Workplace essential skills enable people at work to do the tasks required by their occupation, give them the basics to learn all other skills (job and life) and assist them to manage and adapt to the changing workplace environment. They are not the technical skills required by an occupation but are the enabling skills that are necessary in most occupations and that allow people to do their jobs successfully. In the example of writing, everyone will need to write on the job whether it is a simple note to co-workers or a lengthy report to administration. In both cases the frequency and degree of complexity will be different for each occupation. Reading Text - Reading materials in the form of sentences or paragraphs. Document Use -Tasks that involve a variety of information displays in which words, numbers, symbols and other visual characteristics (eg. Lines, colors or shapes) are given meaning by their spatial arrangement. Numeracy - Using numbers and thinking in quantitative terms to complete tasks. Writing - Writing text and writing in documents, such as filling in forms, and non paper-based writing such as typing on a computer. Oral Communication - Using speech to give and exchange thoughts and information. Working with Others - Employees working with others to carry out their tasks. Thinking Skills -The process of evaluating ideas or information to reach a rational decision. Computer Use - Using different kinds of computer applications and other related technical tools. Continuous Learning - Works participating in an ongoing process of acquiring skills and knowledge. "Coming through here is the best thing I've done with myself to be successful"
This program is available to any unemployed Aboriginal person entitled to work in Canada. Applicants do not need to be in receipt of EI or have a previous EI claim to apply for this program. For more information on application process visit the Access Futures eligibility page. From August 13 – September 28, 2012 EASF is delivering a 7- week Essential Skills Employment and Training Competency program (ACCESS ESAF ETC) for the ACCESS Trades Metal Fabrication students prior to their technical training at BCIT. From September 10 – November 2, 2012 ESAF is delivering an 8-week Essential Skills Employment and Training Competency program (ACCESS ESAF ETC) for the ACCESS Trades Pipe Fitting students prior to their technical training at BCIT.